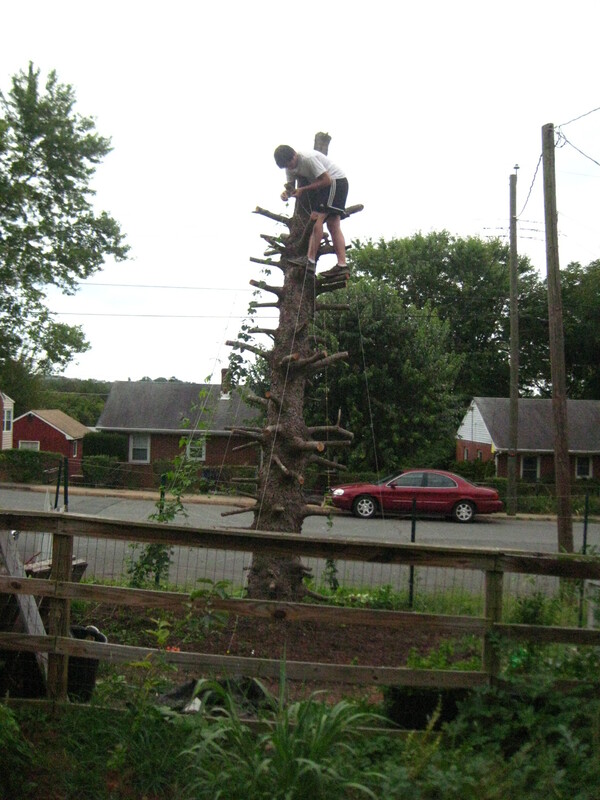 The photograph above shows Guion tending to his deeply beloved hops. As you can see, he’s constructed a makeshift hop maypole running up the dead evergreen tree. Every time he climbs up there, I expect one of those branches to break, but he assures me that it’s very sturdy. He’s very adept and quick up there and the hops have been thriving, thanks to his ramshackle fence. The fence keeps the deer out, but it hasn’t been successful in prohibiting a more malevolent animal: The domestic cat. We have noticed a tabby cat prowling around the tree and the hop plants and we didn’t think too much of it. But the other day, Guion comes in, huffy and disgruntled. “Cats are evil,” he says. The cat, apparently, dug up one of his precious hop seedlings, pooped in this hole, and then covered it back up, leaving Guion a special little present when he went to check on that lingering seedling. This made me LOL all over the place, but yes, it’s also proof positive that cats are evil. And that they potentially share my father’s sense of humor. I was positively exhausted this weekend by demanding calligraphy jobs. I shouldn’t complain–I am so grateful for the extra cash–but spending one’s entire weekend hunched over a desk, slave to the pen, is not necessarily my idea of a good time. I was desperate to get out of the house, so we took a brief hike through Pen Park for my Saturday reprieve. 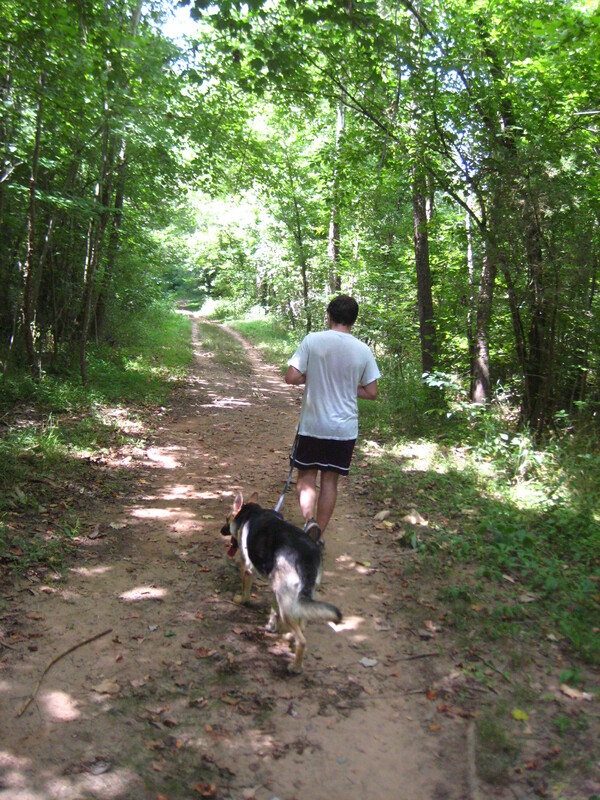 A hot day, but the trails are so shaded. We met an equally shy German shepherd puppy, saw three deer crashing through the woods, and lost Pyrrha for a few minutes (turns out her recall is not as good as I thought it was). And then we came home, tired dog in tow, and ate and… did some more calligraphy. Even though I get easily stressed by these little things, at the core, I feel very peaceful. We have a good life.